Innovate is a frozen Strawberry Treat! 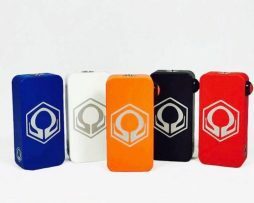 Hexohm E-juice is the culmination of much blood, sweat, and tears by the guys who make your favorite box mod. We have been working on these flavors for nearly a year, and have painstakingly selected each flavor compound to ensure that we are putting out the best product that we can create. We hope you enjoy these flavors as much as we do! Hexohm E-Juice comes in a 60ml bottle with a CRC cap. Each flavor is distinct and unique, and represents something that we, as a company, find to be most important. 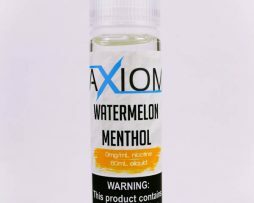 These e-liquids are designed to be enjoyed at any temperature, but, as we are hexohm fanatics ourselves, are especially enjoyed on a dripper at high wattages. Hexohm E-juice is the culmination of much blood, sweat, and tears by the guys who make your favorite box mod. We have been working on these flavors for nearly a year, and have painstakingly selected each flavor compound to ensure that we are putting out the best product that we can create. We hope you enjoy these flavors as much as we do! Hexohm E-Juice comes in a 60ml bottle with a CRC cap. Each flavor is distinct and unique, and represents something that we, as a company, find to be most important. ABSOLUTELY DELICIOUS. This is SO close to a 5 star juice. I say 4.99. My only issue isn’t with the juice at all, but with the flavor description listed on the bottle. I LOVE fresh strawberry juice, but they are typically mixed with creamy or cake-y base flavors, which is NOT something i enjoy. Since their description above gives literally no flavor profile AT ALL, ill give my personal take. Also, the frozen flavor is very slight. Cool would be stretching it too…its there, but its more of just a casual overall weight it carries across the palette than a flavor. There are NO creamy/milky/cake-y/cotton candy/sugary-overload levels to this at all. Which is a HUGE plus for me. The flavor, to me, is akin to a caramel and sour green apple sucker/lollipop. You know..the flat disk shape, green see-through wrapper, comes out during Halloween by the truckload..
Take away the thick, overpowering flavor of the caramel and leave the TINIEST hint of its inherent sweet, richness. Pair about 20% of that with 80% of the same taste and sourness of the green candy on the suckers I mentioned. Superbly sour on a fresh atomizer. especially sub-ohm. There are notes my palette can’t identify still. All which add to the character of this juice. Fruity, but not ‘sweet’, just a transparent, light syrupy base to bring the flavors together. Began vaping it alone. Still do half the time, but also experiment and also pair it with a couple of my original faves and love what it adds to them. If you have a similar likes and dislikes in taste i mentioned, SERIOUSLY CONSIDER THIS JUICE! Craving Vapor isn’t a choice, theyre the ANSWER to all of your vaping needs! I love all of my Hex mods and figured i couldnt go wrong with their Innovate ejuice. Boy was i right.. Its an amazing juice, is exactly as described and you can taste the quality! 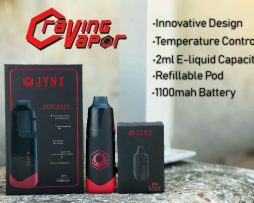 Craving Vapor does it again and continues to raise the Vape industry standard so high, that in my opinion, no other manufacturers can touch!! You can’t go wrong with Craving Vapor.. They build the ultimate mod, have great prices, fast shipping and the absolute best customer service… Hats off to everyone at CravingVapor!